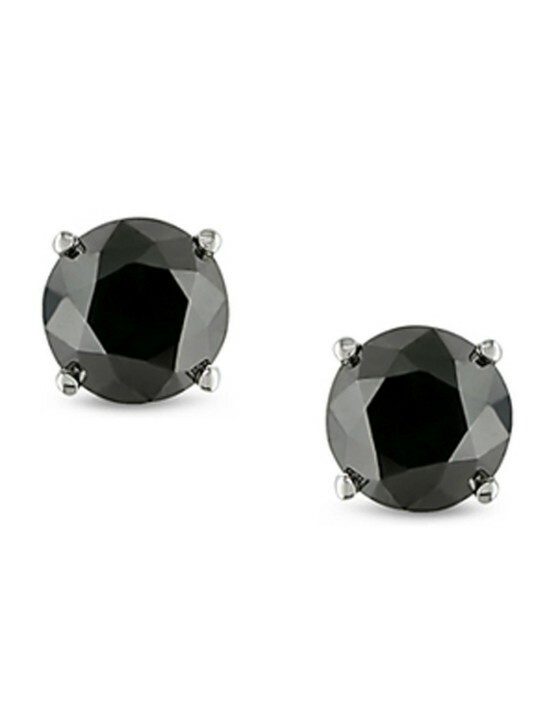 These 14K white gold stud earrings showcase round enhanced black diamonds totaling 1 ct. 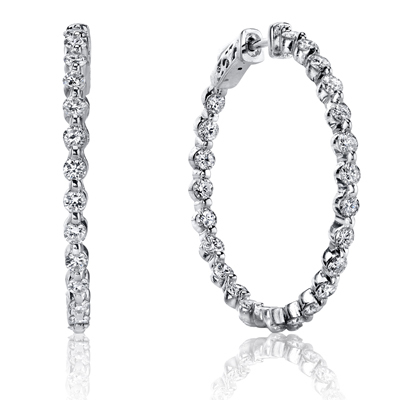 Create definite attraction when you go against the traditional white diamonds for a touch of sultry uniqueness. 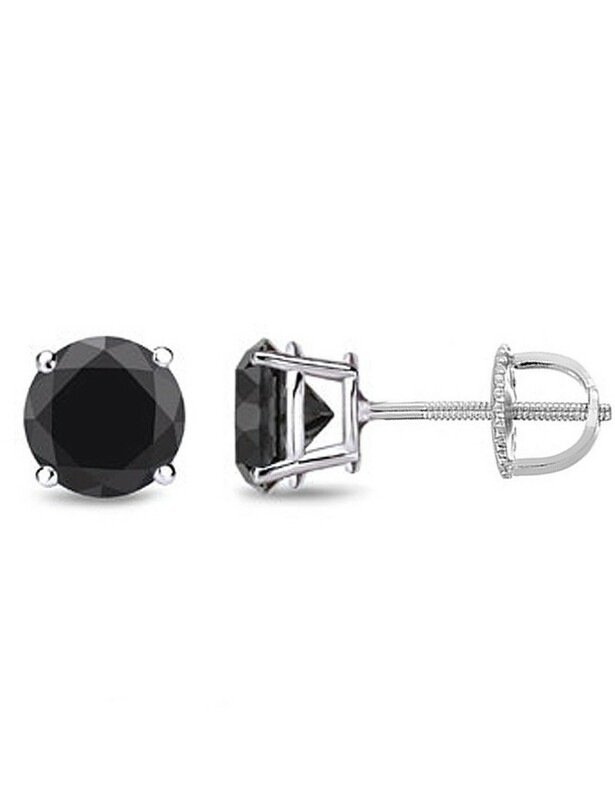 These earrings have screw backs for a secure fit. Discover SamayaJewels Collections of fine jewelry. Our store offers jewelry made from genuine materials: white-diamonds, black/blue diamonds, emerald, rubies, amethyst, aquamarine, topaz. 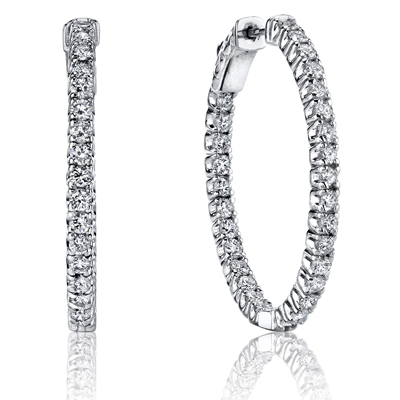 Precious metal: 14k/18k, platinum, sterling silver. Our team of gemologists work hard to inspect all jewelry to ensure they meet Amazon's high standards. 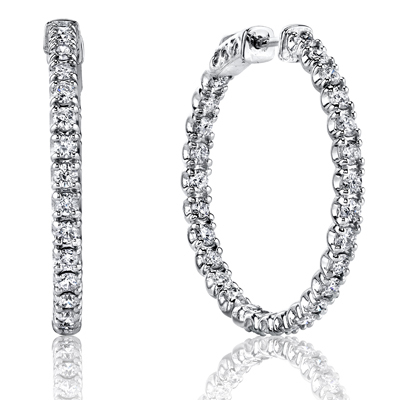 We offer large verity of jewelry from diamond earrings, tennis bracelets, necklaces, to fashion designer pieces. Our store also features engagement & wedding rings, semi mounts, anniversary & bridal sets. We are able to offer competitive prices so you will get a great value with every purchase. Jewelry from SamayaJewels come packaged in a beautiful box, making them wonderful gifts. SamayaJewels offers excellent customer service that is available seven days a week to answer any product questions before, during or after the purchase. If you're not satisfied for any reason,You can return the piece within 30 days and receive a full refund NO restocking fee. Find a special gift for a loved one or a beautiful piece that complements your personal style with jewelry from SamayaJewels.